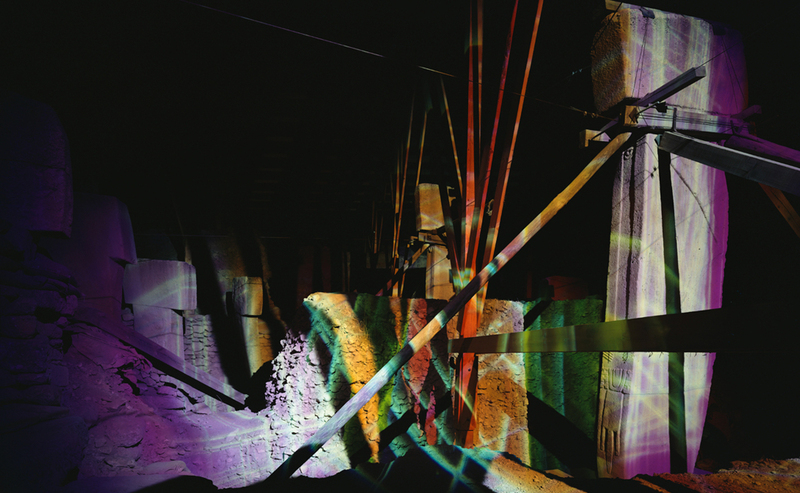 Victoria Coeln is a Vienna-based artist best known for her large-scale, immersive light interventions that she calls “Chromotopia.” Derived from the Greek chroma/colour and topos/place, Chromotopia are multi-layered light surfaces that are experienced as a three dimensional phenomena in public – often historic – spaces. 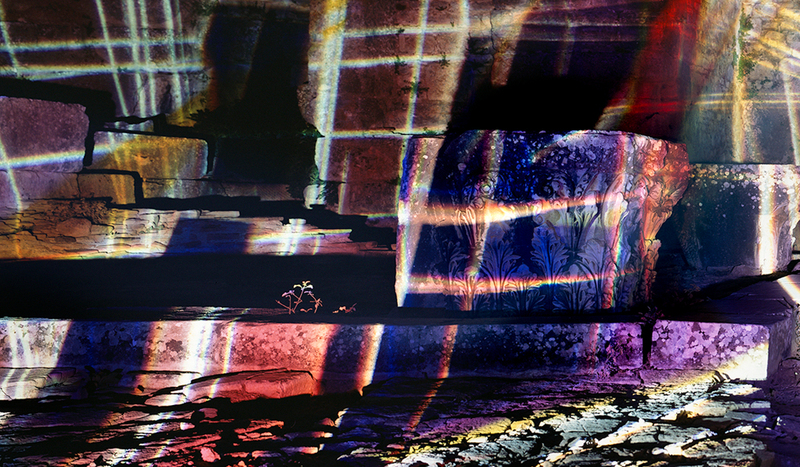 Using either the natural, available sunlight and/or projectors, Coeln develops her work on-site using a variety of colour filters to shed a new light on the chosen areas in vibrant hues and textures that enrich the space and engage it with its past. 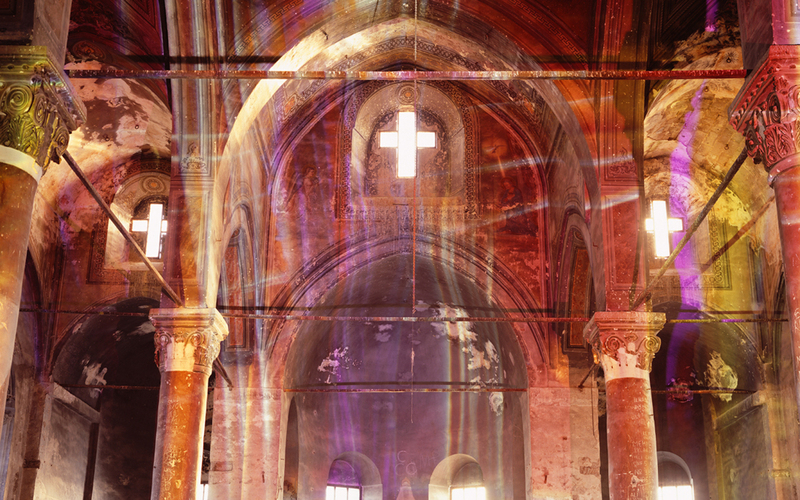 Victoria Coeln’s Chromotopia have been installed in a variety of UNESCO World Heritage sites, such as Saint Stephen’s Cathedral in Vienna as well as Ephesus, Cappadocia and Göbekli Tepe in Turkey. To her, Chromotopia represent the connection between historic and contemporary space. 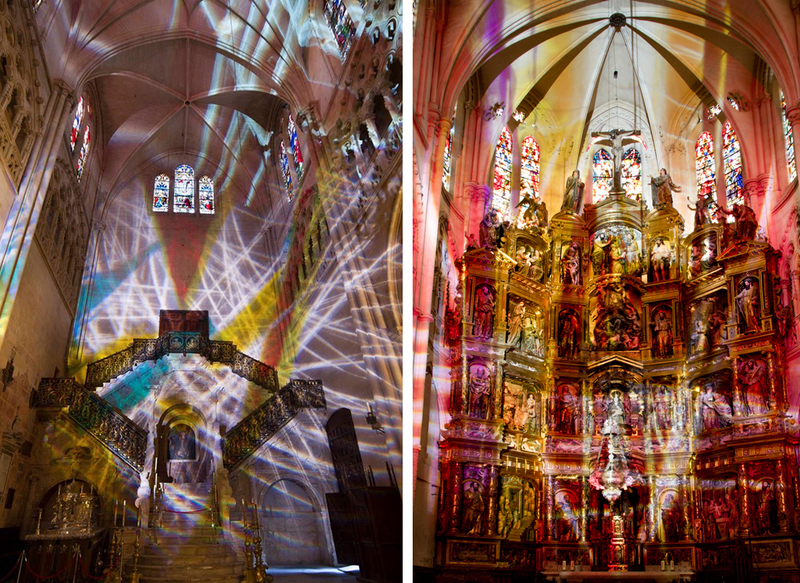 Chromotopia Santa Maria is Victoria Coeln’s most recent Chromotopia exhibited inside The Cathedral of Saint Mary in Burgos, Spain – a UNESCO World Heritage site. 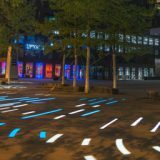 To create her light interventions, Coeln assembles her own customized glass filters that she calls “Diachromes” – a set of multi-layered Rosco Permacolor Dichroic Glass Filters that she etches, scratches and assembles on site. 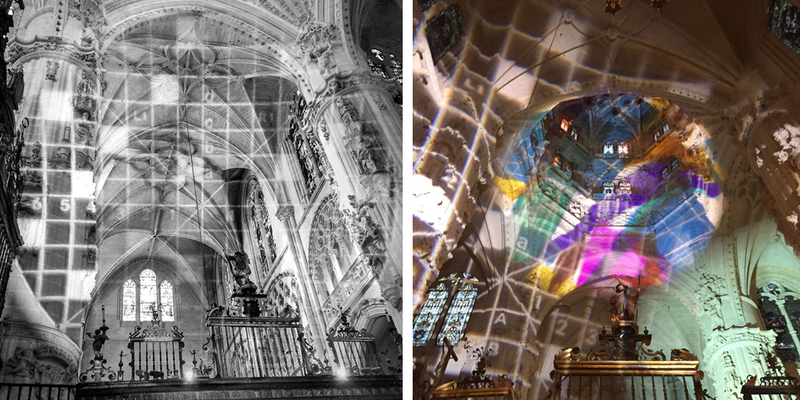 Victoria studied the architecture of the historic Burgos Cathedral to create a polychrome light space that she superimposed on the gothic structure. She merged the light that entered through its stained glass windows with her Diachromes. This combination highlighted the beauty of the construction and drew attention to certain architectural elements on the lantern tower, the main altar and the staircase inside the cathedral. 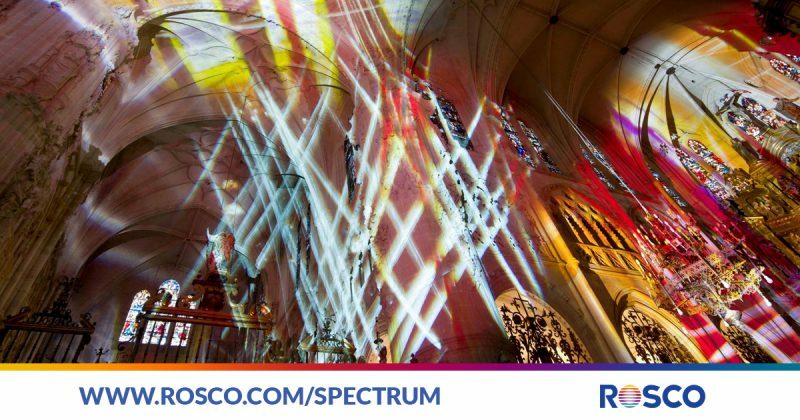 To project her Diachromes inside the Burgos Cathedral, Victoria installed them inside six HMI projectors outfitted with 25-50º zoom barrels. 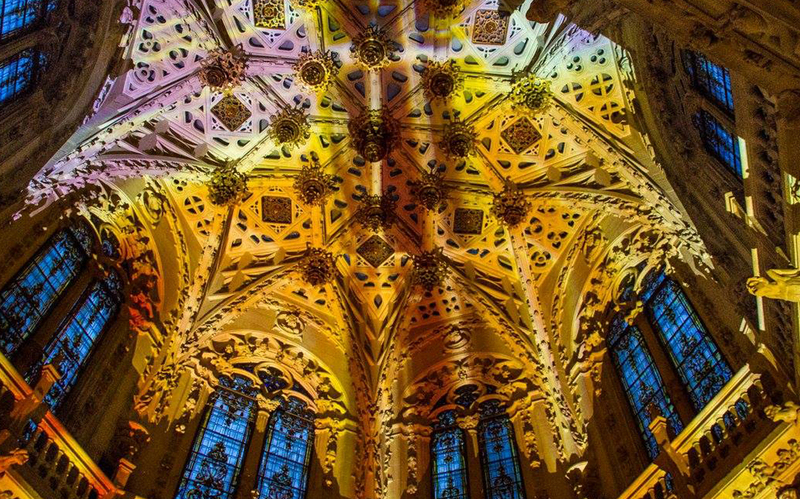 Chromotopia Santa Maria not only highlights the architectural beauty of the space, it also reveals a deeper, darker side of the Burgos Cathedral’s history. Victoria comments: “Standing in the center of the cathedral, in front of this huge altar with all its details, mirroring the painful experiences of life, you begin to understand history and present in a quite different, much more intense way. The question for me was how to transfer this intensity into visibility referring to the deep medieval red of the historic window. My answer to that question was a blend of Rosco 6100 Flame Red, a dichroic match to E027 Medium Red and 3114 Victorian Gold.“ By projecting those colours, Victoria brought the bloody part of the Cathedral’s history – its suffering and its pain – directly into the huge, golden, baroque altar. 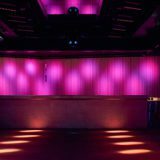 All of which becomes more obvious when experiencing the Chromotopia live, as photographs do not convey the power of the intervention that you feel when walking through it. 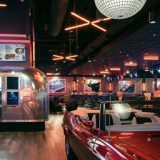 Coeln has been working with Rosco – specifically with Anne Hunter, Rosco’s gobo and Permacolor product manager – for the past ten years. “Ohh we could celebrate anniversary, Anne and me,” Victoria says with a smile. Anne finds Victoria’s work and use of dichroics “fascinating and unique.” In fact, at one point Victoria visited Rosco’s gobo and dichroic facility in Texas. During the visit, she and Anne discussed her requirements for colour and Anne discovered that Victoria uses colour palettes similar to those used by painters to make her designs come to light. The result of the conversation was the development of Permacolor #3114 Victorian Gold – named for Victoria Coeln – and Permacolor #1050 Mauve. The filters were designed to represent the Ochre and Carmine pigments found on a painter’s palette, both of which are difficult to achieve with light. 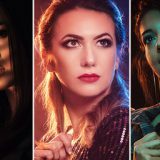 The fruitful relationship between Victoria and Anne is one of many examples that demonstrate Rosco’s commitment to providing solutions for creative people to achieve their visions. Make sure to visit Victoria Coeln’s website to learn more about her fascinating work: www.coeln.at. You can also explore our Permacolor web page to learn more about the product Victoria Coeln uses to create her fascinating Chromotopia.